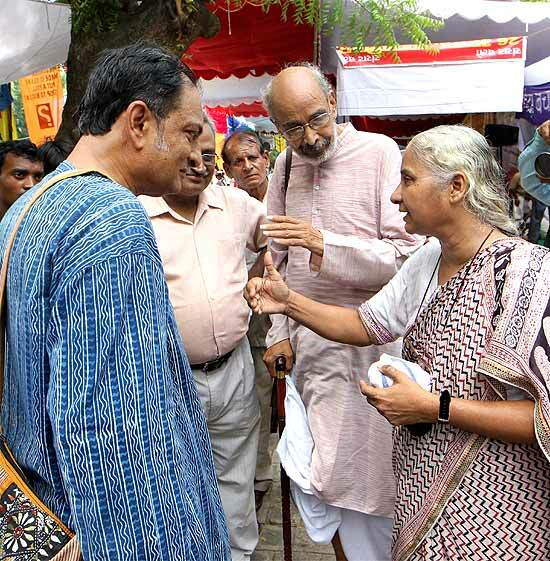 Social activist Medha Patkar and Civil rights activist Binayak Sen at a protest against forced displacement people from their lands in New Delhi. 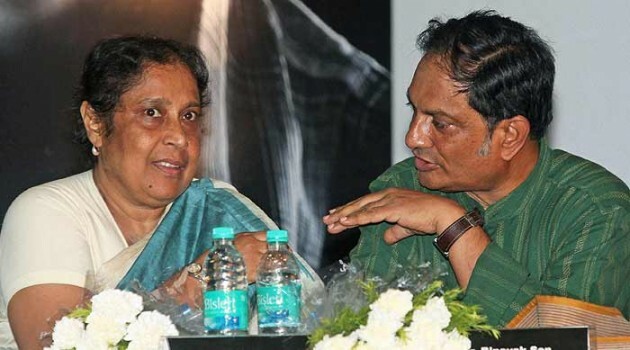 Civil rights activist Binayak Sen and head of the Women studies department, Mahatma Gandhi University, Maharashtra, Ilina Sen during a debate 'Voice' in Kolkata. 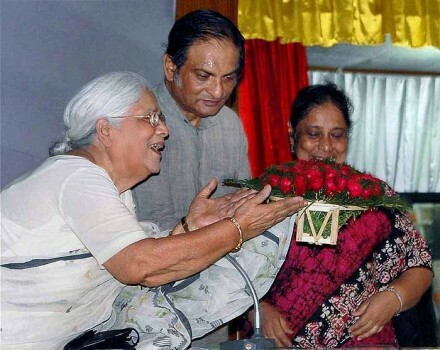 Social actvist Dr Binayak Sen (C) being felicitated as his mother and wife Anusua Sen and Ilina Sen (R) look on, during a programme in Nadia district of West Bengal. 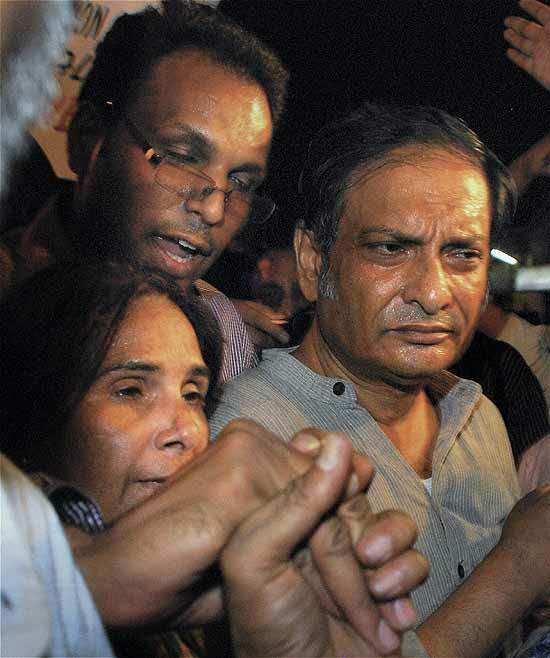 Dr Binayak Sen, civil rights activist jailed on charges of colluding with the Maoists, finally gets bail from the SC. 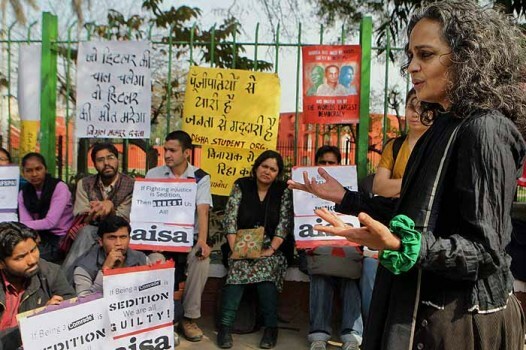 Court says sympathy does not amount to sedition. 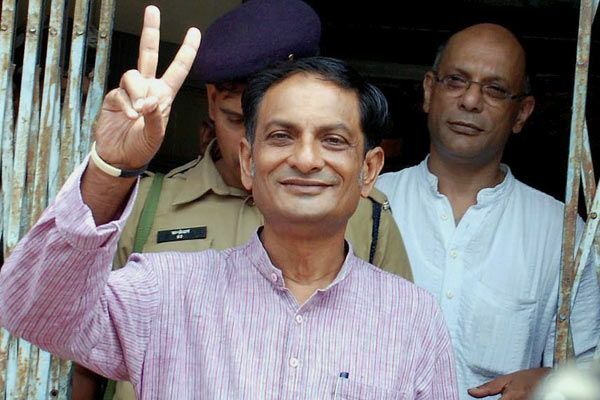 Rights activist Binayak Sen, serving a life sentence for sedition, after being released from the Raipur Central Jail on Monday evening. 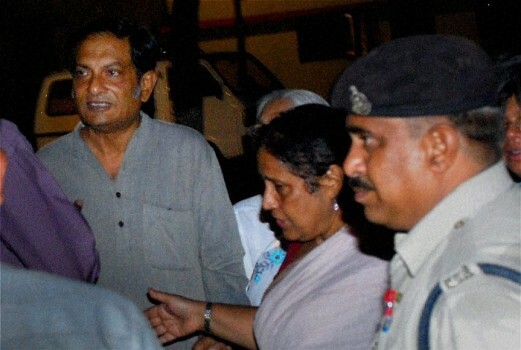 Rights activist Binayak Sen, serving a life sentence for sedition, with his wife Ilina after being released from the Raipur Central Jail on Monday evening. 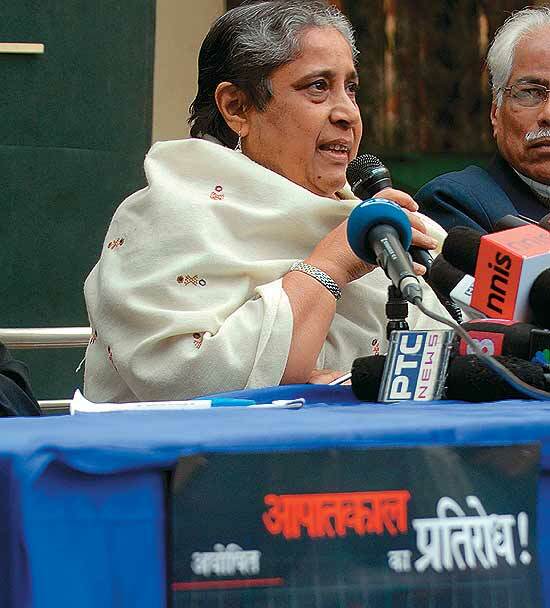 Arundhati Roy addressing activists of All India Students Association during a demonstration in support of Binayak Sen, at Jantar Manter in New Delhi. 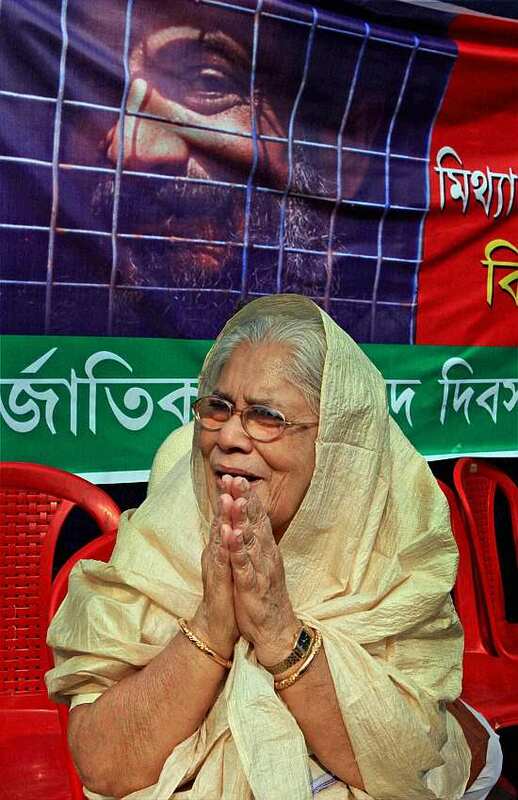 84-year old Anusuya Sen, the ailing mother of Binayak Sen, takes part in a rally in Kolkata demanding immediate and unconditional release of her son. 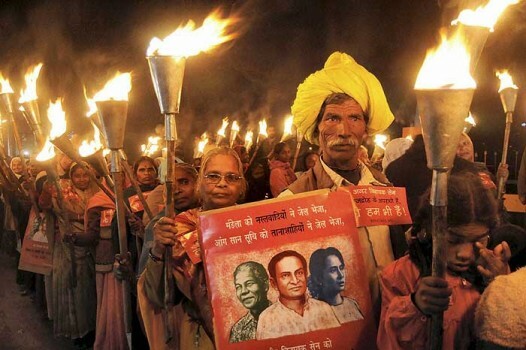 Survivors of the Bhopal gas disaster take out a torch rally demanding immediate release of doctor-activist Binayak Sen, sentenced to life imprisonment for sedition, in Bhopal. 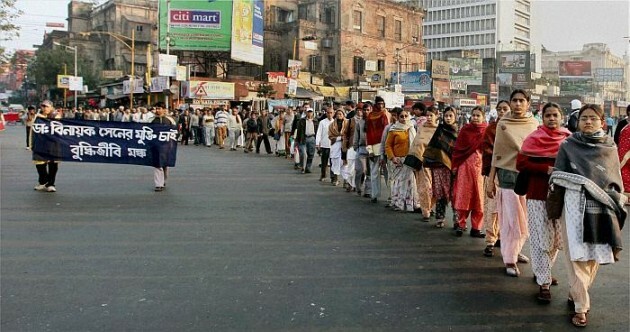 People march during a rally demanding immediate release of doctor-activist Binayak Sen in Kolkata. 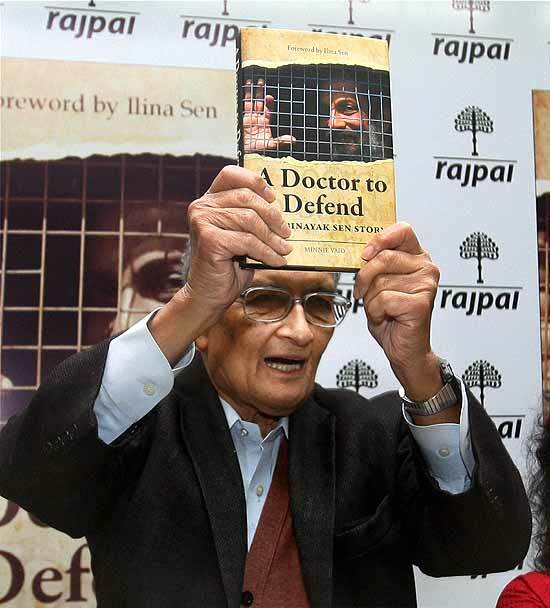 Nobel laureate Amartya Sen releases the book "A Doctor to Defend - Binayak Sen Story" in New Delhi. 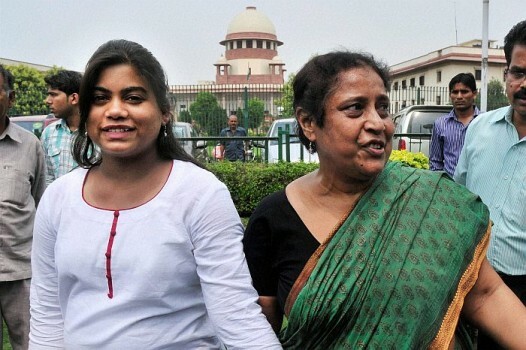 Doctors say that one needs to study if the H1N1 swine flu virus has changed, mutated or become resistant in any way since the number of cases is going up consistently. 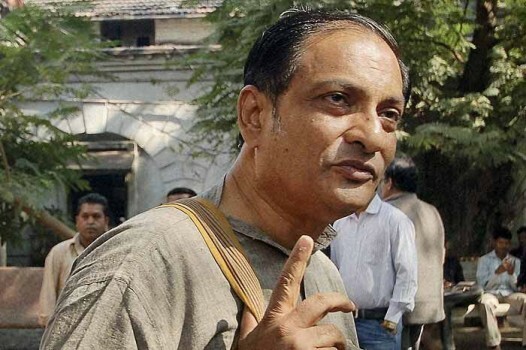 The full translation of the judgement of Trial court in Raipur which sentenced Binayak Sen, Pijush Guha and Narayan Sanyal to life imprisonment. 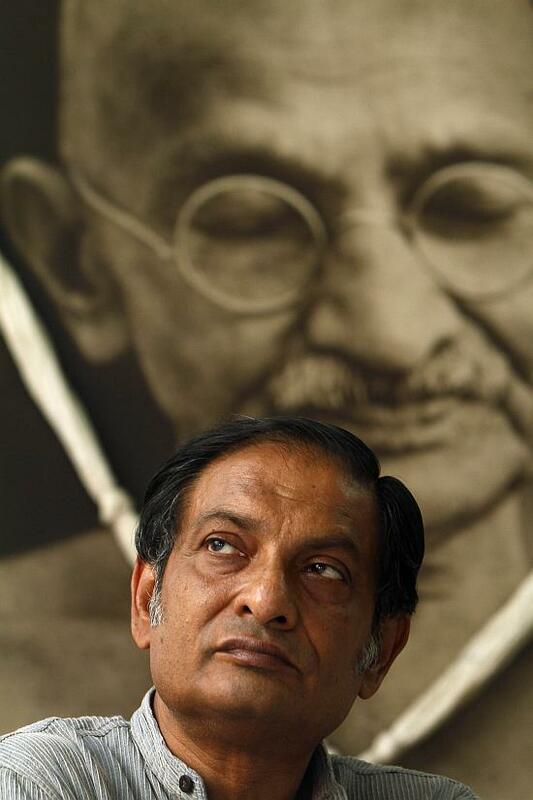 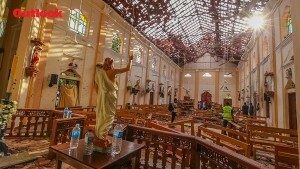 The prosecution and the court had adopted a narrowly legalistic approach to the case without seeing it in the broader context of the benign personality of Dr Sen.
D'Souza tries to understand why a man trained in medicine would spend his life with people who have fallen off the collective conscience of a nation. 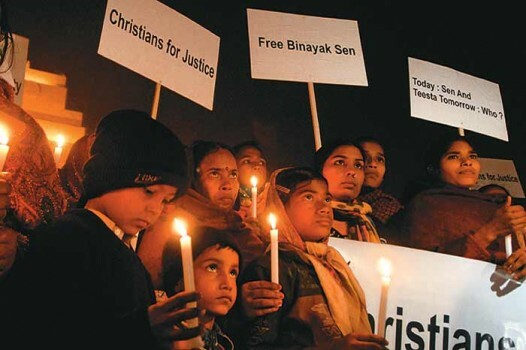 Solitary confinement and an arbitrary system fail to dispirit Binayak Sen. 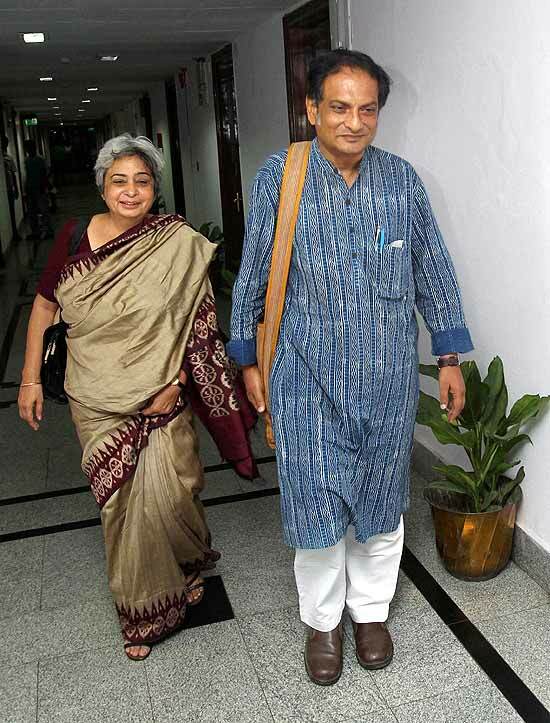 He lives on in hope.